Very strong gainer containing 25% protein in the form of whey and slowly absorbable micellar casein and creatine, arginine and extract from bitter melon. Strong gainer containing 25% protein in the form of whey fast and slowly absorbable micellar casein and creatine, arginine and extract from bitter melon. Tank is an excellent cheap gainer for people who have a problem with the elaboration of a large mass. 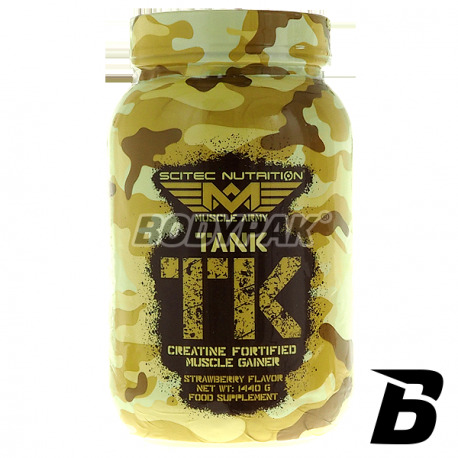 Carbohydrate-protein supplement Scitec Tank promotes anabolic processes - both accelerates muscle building, as well as the impact on improved regeneration after training. In addition to essential nutrients, so the protein and carbohydrate provides additional amino acids, vitamins and minerals and other components that are necessary for expanding muscles. So let's choose a comprehensive nutrient mass that will ensure the rapid development of muscles and complete recovery. He is so big, like a tank! With the help of MUSCLE'S ARMY TANK You too can be like "On"! Our formula is based on 50-50% of mergers with high-quality milk protein: This blend of protein is whey protein half and half uncontaminated micellar casein (instead of denatured casein lower quality)! It makes TANK is more balanced, has a universal pattern. Supplements are protein nitrogen source and essential amino acid which the body needs for growth and maintenance of tissues. 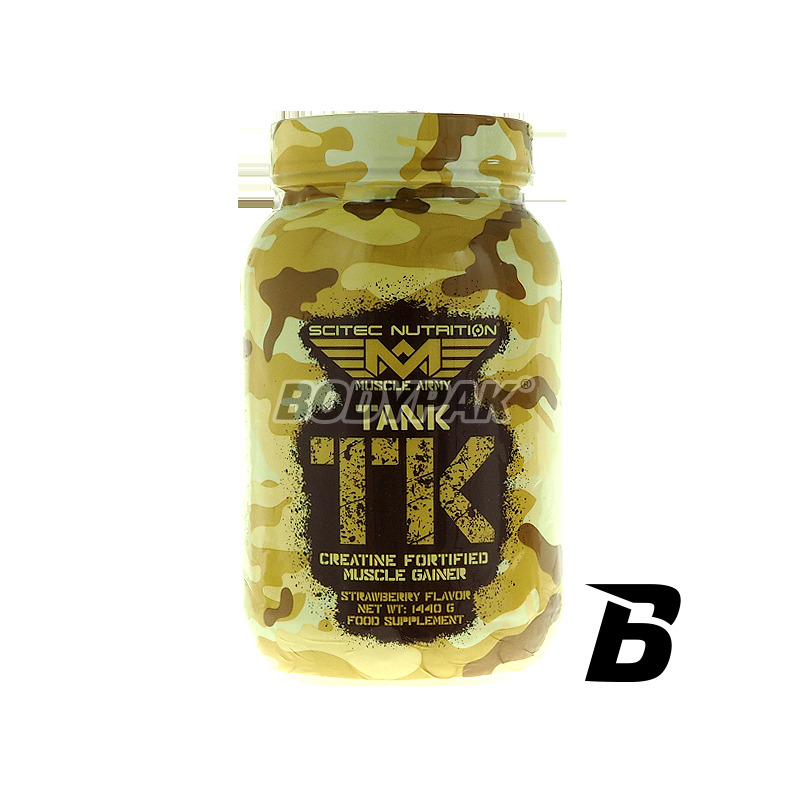 TANK protein contributes to the maintenance and growth of muscle mass and to maintain the proper condition of bone *. Składniki: Dekstroza, Maltrodekstryna, Instantyzowany Koncentrat Białek Serwatki, Kazeina Micelarna, proszek kakao (10-12%), Micronizowany monowodzian kreatyny MicronTec, L-Arginina HCl, guma ksantanowa (substancja zagęszczająca E415), Aromat (czekolada FERM, czekolada, krem waniliowy), Wodorofosforan dipotasowy, Sukraloza (substancja słodząca, E 955), Acesulfam-K (substancja słodząca, E 950), Kwas Askorbinowy, Ekstrakt z (owocu) Momordica Charantia, Pirydoksyna HCl.